Automakers make their presence felt at the tech show. For decades, the dominant car technology debuting each year at the annual Consumer Electronics Show (CES) was add-on stereos, amplifiers and speakers, which got progressively more powerful and louder. 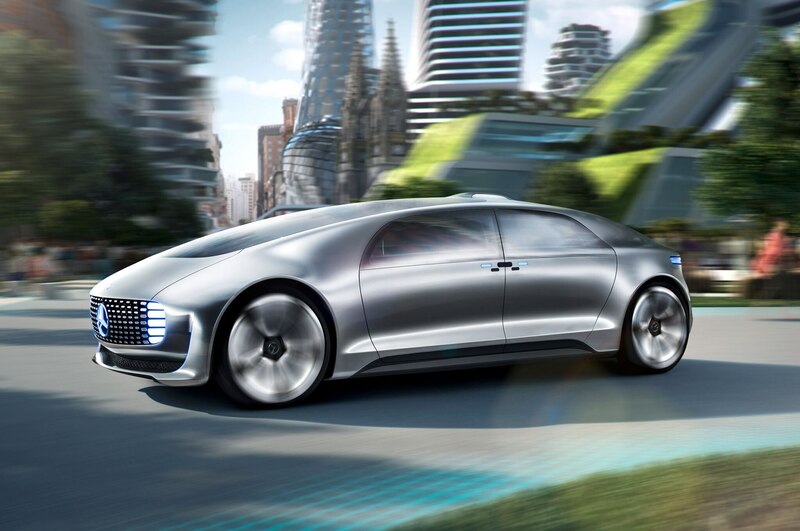 But now that the entire world has gone gaga for gadgets and automakers are concerned as much with processing power as horsepower, car companies have overshadowed the aftermarket at the giant tech fest in Las Vegas each January. One reason for the automaker invasion at CES 2015 is it’s an opportunity to show off electronic technology, which usually gets lost in the clutter at conventional auto shows. Added to this is presence of worldwide media on the lookout for the latest trends. 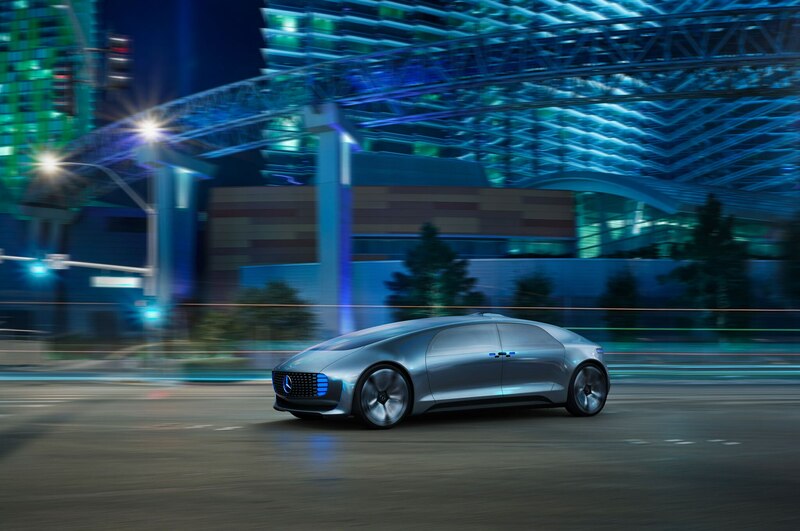 After several long days and nights in Las Vegas looking over the concept cars and tech, here are five key technology trends from this year’s CES. Autonomous driving is what’s happening, and the Audi A7 Piloted Concept (right) got everyone at CES talking by making a 560-mile trip from San Francisco to Las Vegas in a real-world test of its technology. 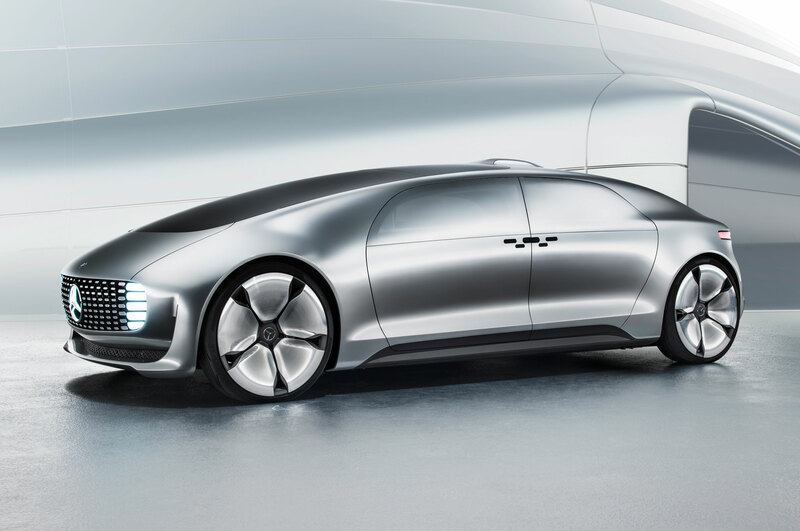 Such cars are closer than we realize, as we saw with the unveiling of Mercedes-Benz “Luxury in Motion” F 015 self-driving concept (below). 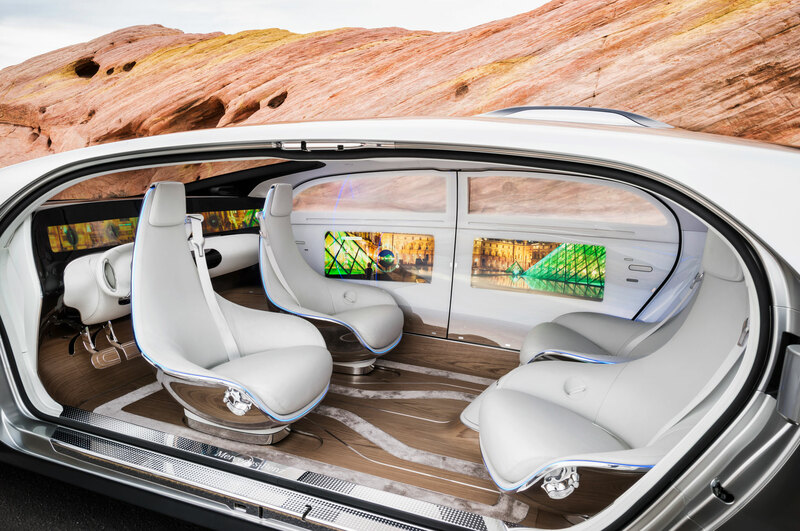 Introduced during a presentation by Daimler chairman Dieter Zetsche, the capsule-like EV concept is geared to what Dr. Z described as a future of “exclusive cocoons on wheels.” Inside are four “lounge chairs” that swivel so that front and back occupants can sit face-to-face. And if the four passengers are facing each other but want to engage with electronics instead of each other, six high-resolution touch-screen displays in the instrument panel and side panels of the car turn the F 015 into “a digital arena” they can control with touch, gestures or eye movements. The electric seats also rotate outward 30 degrees when the doors are opened to make it easier to get in and out of the low-slung concept, which measures 17 feet long and 5 feet high, and the F 015’s 26-inch wheels are pushed to the far corners of the vehicle to maximize passenger space. The F 015 also features a windshield that doubles as the front section of two-part sunroof. And so that the car doesn’t scare people on the street while in autonomous mode, LED in the front grill can project a crosswalk on the street to let pedestrians know it’s safe to cross. On the other end of the spectrum from Mercedes-Benz pie-in-the-sky self-driving concept car is Hyundai’s introduction of its new Display Audio head unit at CES. The new radio could be the first to allow both Apple CarPlay and Google Android Auto to coexist in the dash when it debuts in the 2016 model year. The Display Audio head unit will allow drivers of 2016 Hyundais to plug in their Apple or Google smartphones into the car’s USB port and mirror navigation, audio and other apps on the display. As a result, the Display Audio head unit won’t have either a CD player and or embedded navigation. Nvidia’s press conference was a good indication of what a geek-fest CES can be. When Nvidia’s CEO Jen-Hsun Huang unveiled the company’s new X1 processor with a teraflop of processing power – kind of like packing the muscle of a Charger Hellcat packed into a Dart – the attending tech media erupted with the applause and whoops usually reserved for the hottest concepts at auto shows. The X1 processor provides the horsepower for Nvidia’s new Drive PX Auto-Pilot Car Computer , which can take data from any sensor and crunch it using “deep neural learning” to recognize a wide range of objects: street signs, pedestrians, cyclists and even differentiate between types of vehicles. Over time Drive PX can learn about the driving environment instead of having to be programmed to recognize specific objects, like existing driver assistance systems. This means that cameras connected to Drive PX which only see an arm or head of a pedestrian partially hidden behind a parked car at a crosswalk will eventually be able to identify it as person that might dart out in front of the vehicle. The system can also recognize traffic lights and road signs and even empty parking spots before a driver does. Think of Nvidia’s Drive PX as a co-pilot that sees all but says nothing to help avoid accidents, and a technology that will help pave the way for fully autonomous cars. After the debacle of MyFord Touch, it would see any automaker would want to stay away from using the word “touch” to describe an infotainment system. Or develop an interface that’s completely devoid of physical controls. But the Golf Touch R concept that VW showed at CES hits both of those sore points, although it may be redeemed by the fact that the controls may not need to be touched at all since the car incorporates gesture control. The Golf R Touch features a pair of capacitive touchscreens in the center stack: a massive 12.8-inch infotainment display and a smaller 8-inch screen below for climate and other controls that uses haptic feedback to trigger a tiny vibration when its virtual buttons are touched. VW has done an excellent job of organizing the information into Windows-like tiles rather that then usual dizzying list of menus, plus the Golf Touch R’s infotainment system gives the driver a wide array of control over what information is displayed. Nevertheless, the capacitive slider bar to change audio volume was a major fail for Ford and Lincoln as well as the Cadillac CUE system. Thanks to the touchscreen’s ability to recognize gestures, not only can infotainment functions can be accessed with a wave of the hand but the sunroof, windows, and even headlights can be activated. You’ll just have to be careful when, um, gesturing to others drivers so that your sunroof doesn’t open in the rain. 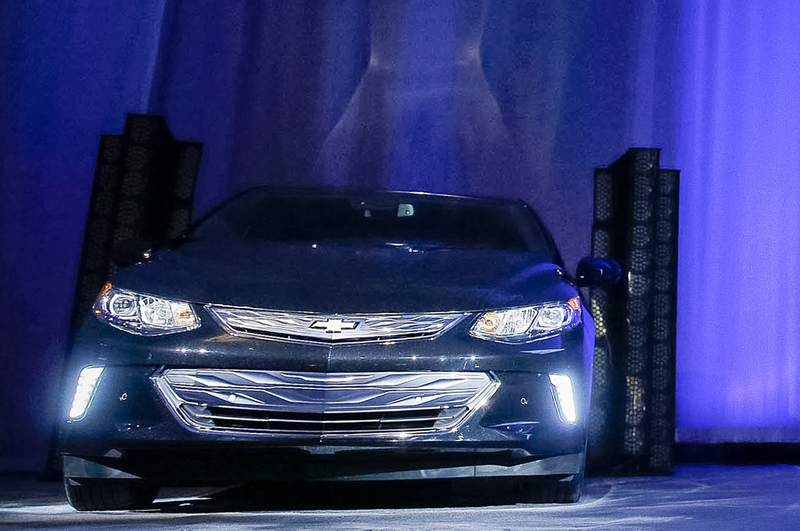 At CES 2014, Chevy was all-in on tech, announcing the rollout of 4G connectivity in its cars and trucks, then unveiling the Performance Data Recorder for the Corvette and a new App Shop for its MyLink infotainment system. So it’s surprising that among all the tech unveilings at CES 2015, all GM had to offer was a sneak peek of the 2016 Chevrolet Volt (below), which will be fully revealed at next week’s North American International Auto Show in Detroit. That and several additions to OnStar, including a “prognostic” feature that monitors and reports on the health of car components such as the battery, starter and fuel system to alert owners before they become stranded. But two other electronic features have a Big Brother feel. AtYourService can deliver coupons and offers from RetailMeNot to a car’s in-dash screen, and Dunkin’ Donuts is onboard to offer discounts for driver. The other is a driver monitoring app that provides ratings and guidance on how to improve safety while behind the wheel, and the option to send the result to Progressive Insurance for potential car insurance discounts. Fortunately, the services will require opting in when they’re phased into GM vehicles later cars this year.